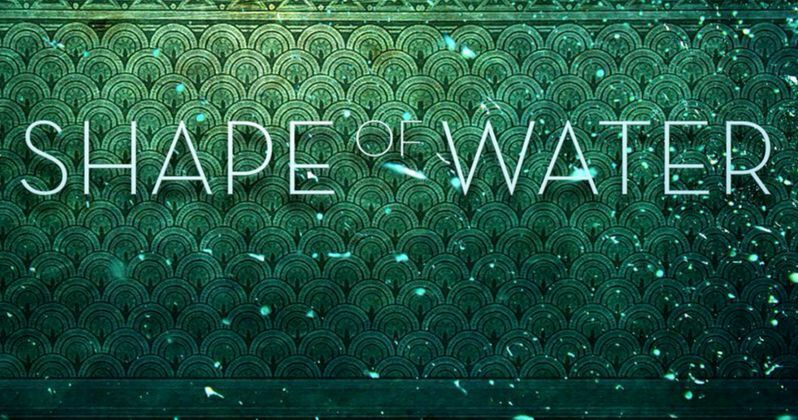 Back in August, Fox Searchlight Pictures announced that production started on director Guillermo del Toro's new film The Shape of Water, although a release date has still not been set at this time. The announcement confirmed that the cast will include Sally Hawkins (Blue Jasmine, Happy Go-Lucky), Michael Shannon (Revolutionary Road, 99 Homes), Richard Jenkins (The Visitor, Olive Kitteridge), Doug Jones (Crimson Peak, Hellboy), Michael Stuhlbarg (A Serious Man) and Octavia Spencer (The Help, Gifted). Fans haven't been given much to go on, in terms of plot details, until now, thanks to star Doug Jones. The August report only described the story as an "other-worldly story", set against the backdrop of Cold War era America circa 1963, described as a "mysterious and magical journey." With the inclusion of Doug Jones, who has played iconic monsters for Guillermo del Toro such as Abe Sapien in Hellboy and Fauno in Pan's Labyrinth, many assumed that the actor is playing a creature once again. While promoting his new film The Bye Bye Man, in theaters January 13, Doug Jones spoke with Collider, where he confirmed that he is playing a creature in The Shape of Water, but it will be much different than you'd expect. "It's a 1963 drama-it's not a sci-fi [film], it's not a genre film, but I am a creature in it. I'm a fish man that's kind of a one-off. I'm an enigma, nobody knows where I came from; I'm the last of my species so I'm like a natural anomaly. And I'm being studied and tested in a U.S. government facility in 1963, so the Russian Cold War is on, the race for space is on, so there's all that backdrop and that undercurrent. I'm being tested for how can they use me for advantages in military or space travel, or my technology-can we make this usable for humans? So they're trying to keep me a secret from the Russians." There had been rumors in the past that the story centered on some sort of fish creature, but there had also been the assumption that Michael Shannon would be taking on this role. While Doug Jones wouldn't confirm anything about who Michael Shannon plays, he did add that there is a love story at the heart of this movie, between his character and a cleaning lady, played by Sally Hawkins. Here's what Doug Jones had to say below, while teasing this movie could certainly be Oscar-worthy when it's released. "Meanwhile, there's a love story that brews out of it, and that would be the cleaning lady played by Sally Hawkins. She comes and finds me, has sympathy on me, and then that's the story that you're really gonna follow with this whole backdrop. It is artfully and beautifully [made]-if this doesn't end up with Guillermo back at the Oscars, I will be surprised. I will be very surprised." Guillermo del Toro directs The Shape of Water from a script he co-wrote with Vanessa Taylor (Game of Thrones, Divergent). The director is joined by a number of long time collaborators such as costume designer Luis Sequeira (The Strain, Mama, Carrie), director of photography Dan Laustsen (John Wick Chapter Two, Crimson Peak, Mimic), visual effects supervisor Dennis Berardi (Crimson Peak, Mama, Fight Club) and editor Sidney Wolinsky (The Strain, House of Cards, The Sopranos). Principal photography wrapped in November but we'll have to wait and see when we'll get our first look at The Shape of Water.